With its high shine and dramatic shape, this looped chandelier is reminiscent of Gaetano Sciolari’s iconic Midcentury Modern designs. 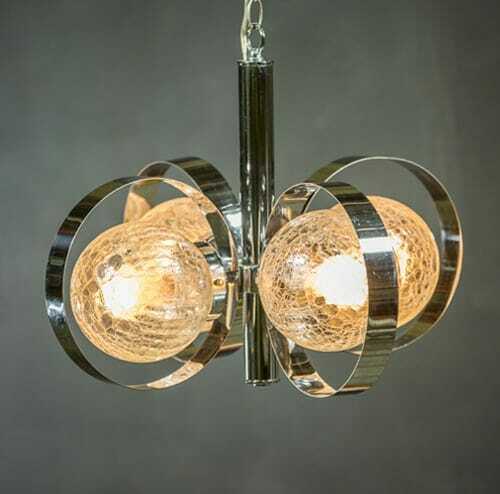 Four large chrome hoops encircle glass globes, making for a distinctive piece. Circa 1970. 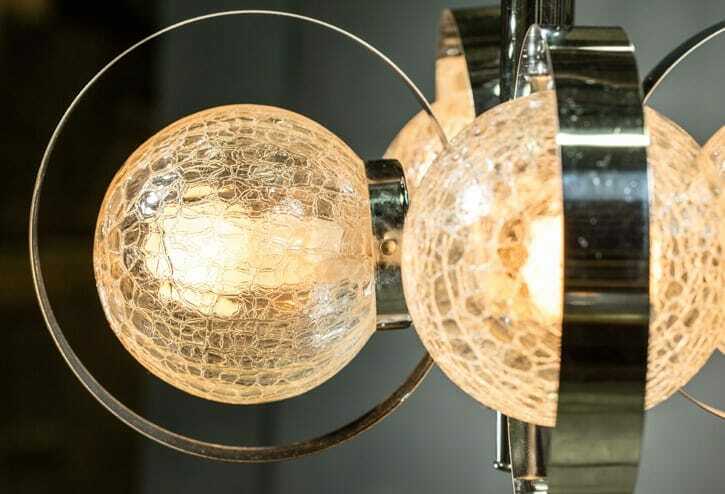 Two fixtures are available with crackled shades.